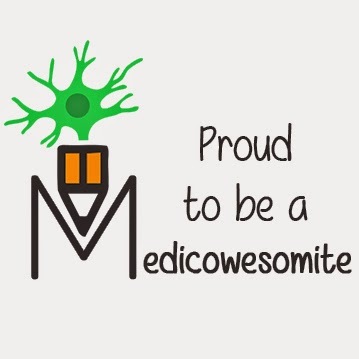 Medicowesome: Dr. Thinker: What to expect during the interview season? - There is no possible way to explain why someone got an interview and why not the other one. then a person with 270s should be getting interviews from almost every program he applied to. But, you will notice that the maximum number of interviews a person with double 270s get is around 30 and that he may not get an interview at places where someone with 230s or 240s got. - Don’t start comparing with people around you. Don’t question why someone with same scores as you or lower scores than you got a particular interview and you didn’t. I had seen many people doing this and going crazy, despite advising them not to do so. As I said, it is very uncertain. The more you think about these, the more you would worsen your already depressed state. - It’s good to know about where people are getting their interviews. But, don’t use this information to for comparing. Use this information instead to contact the program coordinator requesting to review your application. Don’t ask the PC why you didn’t get an interview when they gave it to someone with lower scores than you. - People don’t like to share where they got an interview as it is very competitive out there. So, be respectful to people on the usmle pages or forums. It’s up-to them whether to share or not. Don’t push it. Be ready to face the fact that even some of your good friends won’t be sharing any kind of such information. 1: Your seniors or friends who matched last year might tell you that they would get you an interview for sure or try their best. Their excitement on the match day makes them tell you this. But, not everyone would end up helping you. When you contact them during the match season the most common reply would be “Geez, I don’t know man, I will try” or “I am only an intern, I can’t”. Some won’t even respond. 2: You might have helped people while preparing for steps and all. But, once the season starts realize that they may not even remember you anymore. 3. Let’s suppose you didn’t match- The people who contacted you for help during their entire usmle prep or during the match season may not even respond to your messages anymore or wouldn’t be willing to support in any way. They will just ignore you. 4. This is the most funny situation: You will see quite a few people (after they matched) getting infuriated when you message them for any kind of information or help. They would even go to the length of saying how irritating this is. This is funny because, these are those people who wouldn’t have made it last year if not for somebody’s help. As I mentioned, this may not hold true for everyone. But, just be ready to accept it. Depend on yourself. There would be many other people who genuinely got busy (intern year could be crazy), tried to help but couldn’t. Respect them. - You will come across people who would only take as much information as possible but wouldn’t share. You could be one among them. Out of courtesy and good manners, don’t do that! - Be ready to see a lot TRASH or SPAM on facebook pages or usmle forums. Don’t just blindly believe in everything they say. Scenario1: X has 240 on step1 and 240 on step2ck, passed CS on first attempt and has a couple of months of Obsie. Y has the same profile as X including YOG. a. You can see X getting 20 interviews while Y only gets 2 or vice-versa. b. You can see both of them getting almost equal number of interviews. It could be 2 or 10 or 20.
c. Reason: It’s uncertain. No possible explanation, there will be only assumptions. Scenario2: X has 230 on step1 and 240 on step2ck, passed CS on first attempt and has a couple of months of obsie. Y has 250s on both steps and rest similar profile as X.
X can still end up having much more interviews that Y. From what I came across, X had 10+ interviews while Y only had 3. - Expect interviews to come any time. - For some people they start coming from September itself, for some in October and for some in November. I had even seen people who got their first interview in Dec or Jan.
- Some people get all their interviews by the 2nd week of October and some get interviews throughout the season until Feb.
- From December onwards expect an interview to come one day before or on the same day as interview. So, be prepared all the time. This kind of interviews mostly comes to those who live in the same city or the state as that of the program. That’s why having a US address in your ERAS is important. - You will see people with one or two interviews ending up matched and those with 20+ interviews going unmatched. - You will see people with 210s or an attempt on CS matching and people with 250s and no attempts going unmatched. - You will see people not matching in regular match, not matching in SOAP but then getting a call few days later as someone who already matched at that program can’t join for some reason. - You can expect visa denial to some unlucky person who got matched. In that case a program usually contacts someone who already has a green card or citizenship. So, those people who don’t need visa can expect a call in June, too.